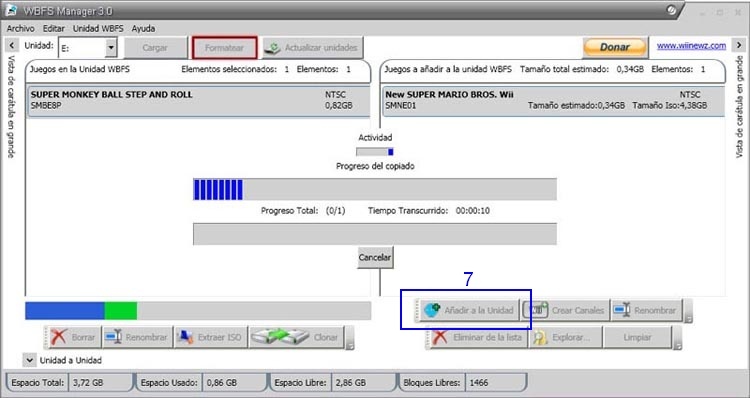 WBFS Manager a file manager which provides tools for working with hard disk drives that have been formatted to the WBFS file system. The program gives you the ability to download any backup copies of your favorite games that you are storing on your PC onto your hard drive. This application basically provides a GUI for working with hard disk drives that have been formatted to the WBFS file system. WBFS Manager is a perfect solution for players who have a lot of Wii discs and who are afraid to loose them by some accident. The application will copy this disc on the hard drive and will secure it so the information on the disc will be in a safe place. This is an excellent tool to use so you can access all of your favorite games for the Nintendo Wii without having to deal with dozens of original discs.